I didn't mean to start crocheting again, but last year in one of my half-hearted attempts to clean and organize, I pulled out the box labeled "Knit & Crochet supplies" and thought I should get rid of this because I haven't knitted or crocheted in years. Then next thing I know I'm reading books on crochet flowers and amigurumi and then I'm pinning hat patterns on Pinterest and buying more yarn. My rationalization is that I needed to make things to sell for the MARN Artibles and Warped Milwaukee holiday craft shows, of course... The nice thing about crochet is that small projects are easy to carry around and work on in my spare time. I had made a crochet Cthulhu as a (belated) Christmas present for my dear big brother, starting with the pattern posted on the Cthulhu Crochet blog but adding more rows and stitches to get the shape I wanted. Then some of my brother's co-workers also wanted Cthulhus (see above line up & what is the plural of Cthulhu?). Apparently they have "Take your Cthulhu to work" day there. 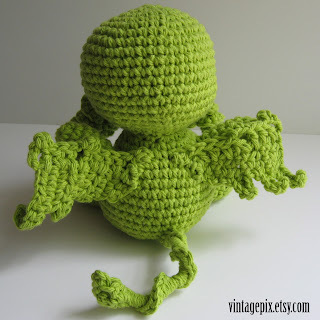 If you're interested in a basic Cthulhu, check out my Etsy shop. 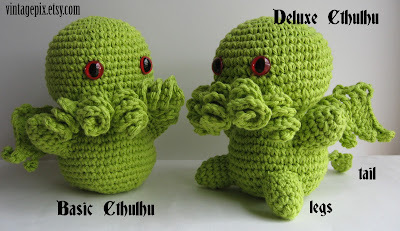 Not satisfied with that original pattern, I also decided to add some legs and a tail, so I now have a deluxe Cthulhu available as well. 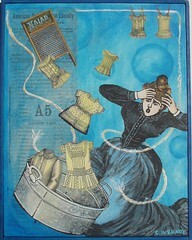 I was also looking for a fun hat pattern and found this design by Leslie Nelle-Urinyi of Wool Mountain Studio on Etsy. 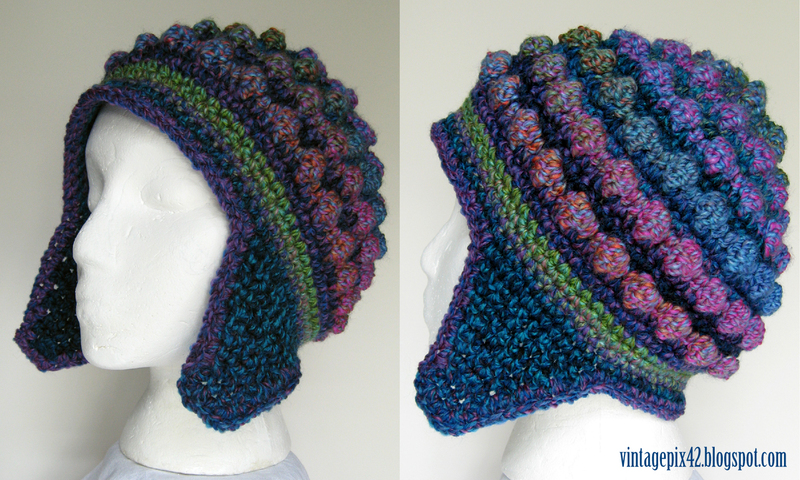 I made this hat to donate to the Southeast Wisconsin Alzheimer's Association fundraiser this spring as they had a wearable art auction.